Can things get any worse for holders of shale bonds and other oil and gas investments? The answer is “yes.” We hate to be the bearer of bad news but the price of oil dropped even more and is now at $34 per barrel. It’s lowest price since 2004. Topping that bad news are gasoline futures. A market measure of the anticipated price of gasoline, that index fell even more to $1.16 per gallon. Oil companies are laying people off and pumping as much oil and gas as they can but they can’t break even. On Tuesday I met with one industry expert in Dallas. The price needed to keep most oil companies solvent and paying bondholders is $74 per barrel. Unfortunately, oil prices are less than half that price. That means that oil and gas stock prices have plummeted and many debt offerings – often called shale bonds – are deep into junk category. Many energy companies went under in 2015 and with oil prices so low, many more will soon join them. Investors buy bonds hoping to receive stable income and maybe even a bit extra. There were hundreds of stockbrokers eager to make a commission and sell a product that looked safe. There is nothing safe about a shale bond. Experts have long known that these bonds were volatile. If your broker told you about the volatility and you purchased them anyway then there is probably little that can be done. We know stockbrokers who were so interested in making a commission that they told investors whatever they wanted to hear. Brokers and brokerage firms have a legal duty to fully understand their clients’ financial situation and risk tolerance. Nearing retirement? 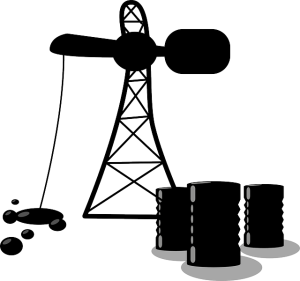 A shale bond or oil and gas master limited partnership is probably not for you. Ditto if you were seeking preservation of capital and a non-speculative investment. It’s not just individual brokers who are at fault. The brokerage firms that employ these folks have a duty to properly supervise their workforce and understand what they are promising customers. Investors have become so desperate for stable, high yield investment income that they became easy marks for dishonest brokers. These bonds pay a high rate of return but only if they are still in business and have money. Many investors fear they have no remedy to recoup their hard earned money or are uneasy at the prospect of a costly lawsuit. Those concerns are misplaced. Cases against stockbrokers and brokerage firms can be won. Most cases are handled on a contingency fee basis. That means your lawyer only gets paid if you win and collect. These cases are almost always handled by binding arbitration before the Financial Industry Regulatory. No long waits. No formal proceedings or jury selection.